New Earth administration begins transferring people back to Mercury. The Water Reserves Protection Measure by the Venusian Planetary Council cuts water shipments to Mercury in half. People of Mercury running out of water. 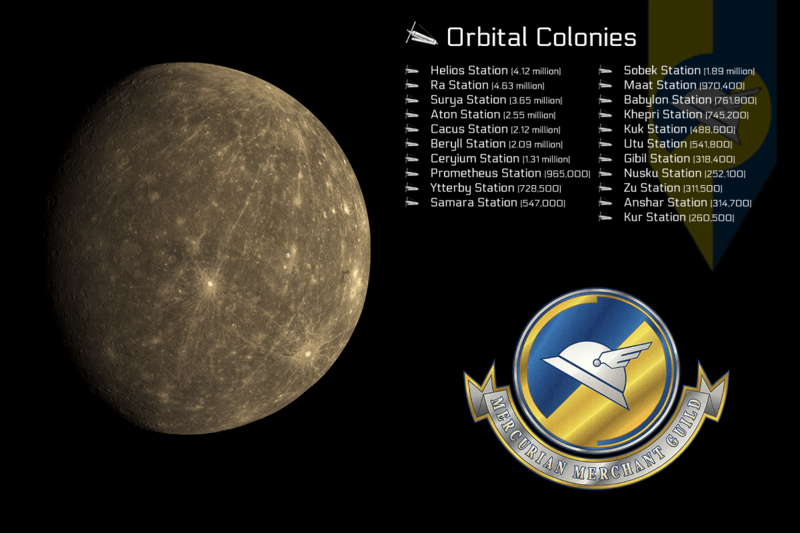 Riots on Mercury. Several Home Defense Force ships quietly defect to Mercury. HDF ships attack Venus orbitals and start a blockade. Venus surrenders to Mercuries conditions. Mercurian Merchant Guild begins business with the captured Venus fleet of nearly 350 vessels.